Congratulations on 70 years Mike & Margaret! With all the uncertainty and change in our world, it’s nice to see something constant. If you know Mike and Margaret Wilson, motorcycling friends from Cedar Rapids, Iowa, you know there are many ways they have never changed, been constantly at each other’s sides, and constantly and tirelessly helping motorcycling. As Harley-Davidson and later Honda dealers, they too kept the world around them on two wheels. And they helped great racers like Leo Payne succeed in racing. Mike is also part of the antique aviation world. He has given tirelessly to historic projects like the resurrection of Glacier Girl, a World War II aircraft buried under the ice at the South Pole. Margaret, a lifelong Motor Maid continues to attend the club’s national events and until very recently rode her motorcycle to them. A great listener and judge of character, she is most certainly Mike’s better half. 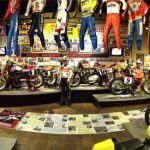 This couple has greatly helped motorcycle museums and halls of fame continue their work to honor motorcyclings’ past and its great history. 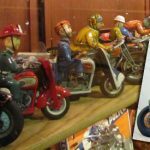 They have served on boards, worked events, counseled leaders and given of their resources to make sure the history of motorcycling is preserved. 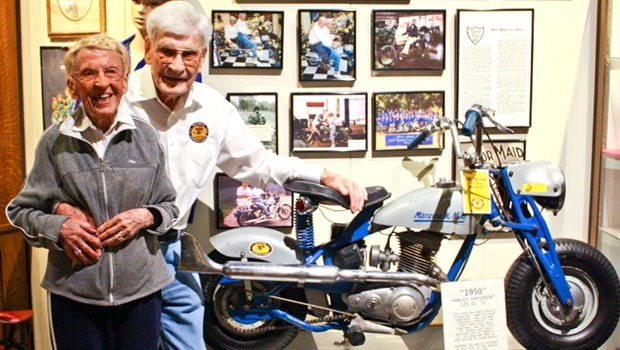 So this week we honor Margaret and Mike Wilson, married for 70 years, exceptional in so many ways, including in their constant love for each other, and motorcycling. https://nationalmcmuseum.org/wp-content/uploads/2013/06/Mike-And-Marg-Wilson.jpg 350 620 wedadmin https://nationalmcmuseum.org/wp-content/uploads/2018/04/NMM-LOGO-500x386.png wedadmin2013-06-12 11:22:052018-09-25 13:01:12Congratulations on 70 years Mike & Margaret! When the AMA Museum used to have a bike show at the fall open house, I had my freshly restored Sunrise Orange 1974 CB550 in the show. Mike and Margaret stopped to chat for a minute and she commented that that was one of her favorite Hondas. Several years later, I saw them at the Museum again and Margaret said “Do you still have that pretty 550?” I could not believe she remembered!! Every bike lovers dream grandparents. Happy 70th and hope you have many more.. They are great people and a credit to the sport of motorcycling. When I first started my 60 years of riding, my Mother always said she was comfortable with me hanging out at Wilson’s motorcycle Shop. Mike taught me to tour by letting me go along with him to Dodge City, Ks in 1952 and to Laconia, NH. in 1953. I credit my long years of riding, and my attitude towards how a motorcycle should be ridden, and how I should conduct myself while riding, to being associated all these years with Mike and Margaret. As compared to other sedan models Honda Accord is much impressive and more dynamic in drive. jobs. The bike has got air filters of the paper filter viscous type which provides the enough strength to the vehicle. generators, robotics, jet engines and jets. They found that the vehicle the teen was driving had a large impact on the overall accident and how the passengers fared. are categorized and readily available according to the year a Honda vehicle was made.